The BBC brings to the small screen a magical adaptation of the C.S. Lewis seven-volume series The Chronicles of Narnia. The series covers the first four books over the course of three seasons with 18 thirty minute episodes. Season one brings The Lion, The Witch, and The Wardrobe to life in a six episode installment. Season 2 covers Prince Caspian over the course two episodes, and then The Voyage of The Dawn Trader in 4 more episodes. The third season consists of a six-part adaptation of The Silver Chair. 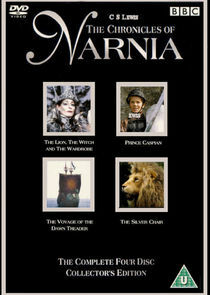 The BBC rendition of The Chronicles of Narnia first aired in 1988 and ended in 1990.